• 2,800 sq. ft., 2 bath, 4 bdrm 2 story - MLS® $254,900 - Need Room? 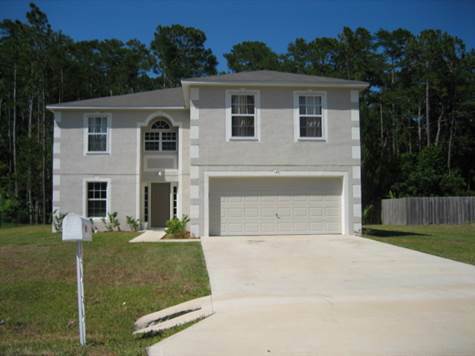 Seminole Woods, Palm Coast - Why Build when this 2005 Home has it all. With over 2800 LSF there is plenty of room for the whole family! This 2 story 4/2.5/2 is located on a reserve that has nature all around when you step into your backyard. This home also has a loft that can be converted into a 5th bedroom. One of the least expensive 2 story homes on the market. Make an offer today!